These cars offer the best performance and dependability for your dollar, according to the popular consumer magazine. 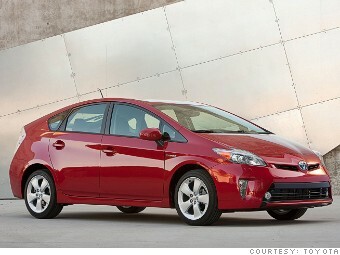 The Toyota Prius is not only the best value among small hatchbacks, according to Consumer Reports magazine, it's also the best value among all 2013 model year vehicles the magazine has tested. To decide which cars represent the "best value," the magazine compared each car's estimated ownership costs to its scores in the magazine's performance tests as well as its predicted reliability. The Prius costs an estimated 49 cents per mile to own, according to the magazine, less than half the estimated cost of the average automobile. It also earned a score of 80 out of a possible 100 in the magazine's performance testing and its predicted reliability is much better than average. "The Prius may not be the most exciting vehicle to drive, nor the cheapest to purchase, but it's extremely reliable, roomy, rides well, gets great fuel economy, and is inexpensive to operate, " Rik Paul, automotive editor at Consumer Reports, said in an announcement.